This past weekend, my best friend of 15 years (and counting) celebrated her birthday! So what better way to wear my current obsession of ‘cupcake skirts’ than on a birthday celebration?! I found the black skirt from Urban Outfitters a few days back and immediately had to take it home with me.The black skirt is stiff elastic bandage which puffs the skirt out to get it that ‘bell shaped’ form. The skirt is so versatile that you can and I plan on wearing it with t-shirts (for that casual look) or with a tighter tank top (for that ballerina look). 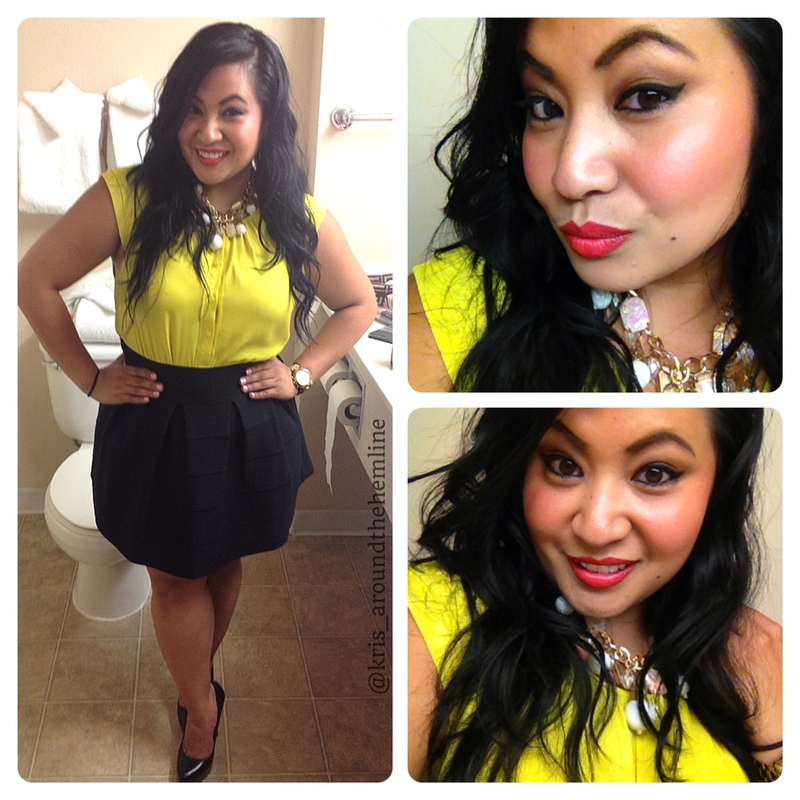 I love color so I’ll always try a pop of color in anything I wear so the yellow top just does that! My favorite lipstick is Givenchy’s Le Rouge Mandarine Boléro (muted red orange) from Sephora (pssst…the cover is leather) and it’s also my go-to pop of color. Check out what I wore this weekend (excuse the hotel bathroom shot)! How would you wear this skirt?! 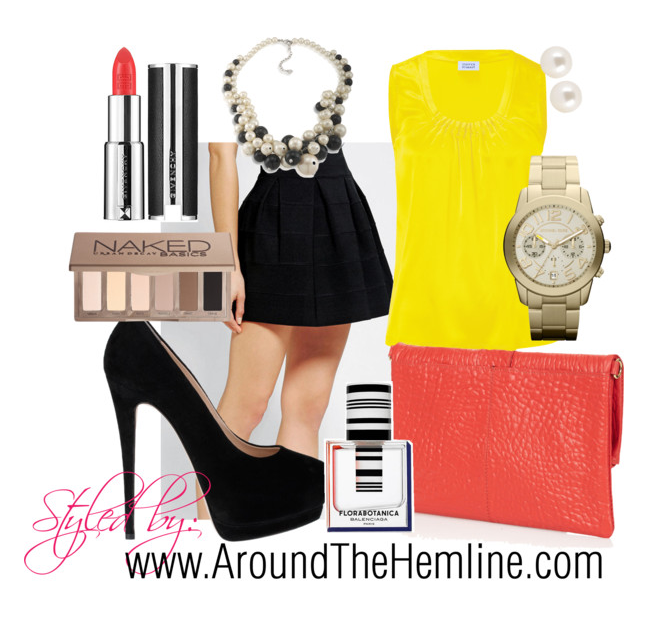 I recreated the look on Polyvore! Check it the items picked out, here!